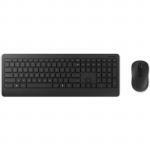 Microsoft Sculpt Ergonomic Desktop USB Wireless Keyboard &Mouse Combo 2.40 GHz. 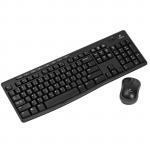 "Great keyboard love how little spacer it takes up & the that you can place the numerical keyboard were it suits you. The mouse is a waste of time but the rest makes up for that. Just remember to go..."
"Love the keyboard, and the calculator option on the number pad is great. The mouse is a little too big for my hand, so hasn't quite addressed my RSI as much as I'd hoped, but is still heaps better..."
"The keyboard is the best I've ever used. All but fixed the RSI I had in my fingers and is so comfortable to use. The mouse is also comfortable but is occasionally really jumpy which can be incredible..."
Work longer and more comfortably with this amazing ergonomic design. The natural arc keyboard layout follows the curve of your fingertips for a more natural way of typing. Reverse tilt design positions the keyboard at the correct angle to give you a straight, neutral wrist position. Additionally, the shape of the mouse is designed for maximum wrist comfort. Plus its Windows button provides one-touch access to the Windows 8 Start screen. 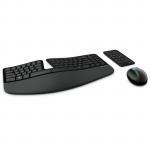 - Domed keyboard design positions wrists at a natural, relaxed angle. If the USB connection gets lost, can a replacement be bought? All packaging I have seen says it is compatible with macOS X from 10.7 up to 10.10 with limited functionality. Does that mean that it isn't compatible with 10.12 and what functionality is lost? Is this compatible with Mac? 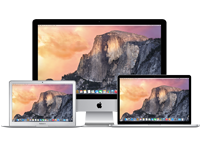 macOS High Sierra, version: 10.13.1. My wife bought this keyboard less than a year ago. 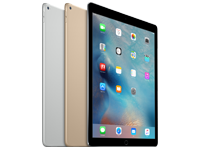 It has a good form factor and seems solidly built. However, the dongle that pairs the keyboard and mouse to the computer broke. Rather amazingly, it appears you can *not* simply replace the dongle, as they are uniquely paired with the keyboard and mouse. So, because her dongle died, we have to submit a warranty repair which will take who-knows-how-long. There is a three year warranty, but that hardly makes up for the hassle I'm sure we're about to go through. View MoreMy wife bought this keyboard less than a year ago. It has a good form factor and seems solidly built. However, the dongle that pairs the keyboard and mouse to the computer broke. Ridiculous design on Microsoft's part, and because of this, I would urge you to reconsider buying this set. At this price, the set should last more than a year. And the dongles on Logitech sets are replaceable and really cheap. Great keyboard love how little spacer it takes up & the that you can place the numerical keyboard were it suits you. The mouse is a waste of time but the rest makes up for that. Just remember to go into device manager & untick the allow computer to hibernate.Great keyboard love how little spacer it takes up & the that you can place the numerical keyboard were it suits you. The mouse is a waste of time but the rest makes up for that. Just remember to go into device manager & untick the allow computer to hibernate. Great keyboard, however quite expensive. If you lose or break the dongle it is rendered unusable, and microsoft will not recycle keyboards or offer any trade in, creating unnecessary e-waste.Shame on microsoft.Great keyboard, however quite expensive. If you lose or break the dongle it is rendered unusable, and microsoft will not recycle keyboards or offer any trade in, creating unnecessary e-waste.Shame on microsoft. I absolutely love this keyboard (can't stand the mouse though so would love an option to buy without the mouse as it will just become landfill). I've now used this keyboard for well over two years but I'm now on my second broken dongle. Like the last reviewer, it seems impossible to have this repaired or simply replaced. Instead - more plastic land fill - i have to throw away a perfectly good keyboard and buy a whole new set. But because the keyboard is so good I will - would love to put my rating to the 5 stars it deserves if they would only fix this issue.I absolutely love this keyboard (can't stand the mouse though so would love an option to buy without the mouse as it will just become landfill). I've now used this keyboard for well over two years but I'm now on my second broken dongle. Like the last reviewer, it seems impossible to have this repaired or simply replaced. Instead - more plastic land fill - i have to throw away a perfectly good keyboard and buy a whole new set. But because the keyboard is so good I will - would love to put my rating to the 5 stars it deserves if they would only fix this issue. Changed to this keyboard after developing RSI in the cartilage in my right wrist from a different brand keyboard. The downward angle of the keyboard and the softness of the keys is great. The elevated wrist rest was not something that I would have thought that I would have liked but I love it. Good design.Changed to this keyboard after developing RSI in the cartilage in my right wrist from a different brand keyboard. The downward angle of the keyboard and the softness of the keys is great. The elevated wrist rest was not something that I would have thought that I would have liked but I love it. Good design. GOOD: Love it. great shape, quiet. the dongle is inside the mouse...took me a few minutes to read the inside of the box and find out this detail...but there it was, under the convenient magnetic cover. plug the dongle in, pull the battery strips out and away you go. no driver issues. works beaut on my linux laptop. BAD: the escape key is a little on the small side for those diehard vi users. one can always swap capslock and escape if it gets irritating. 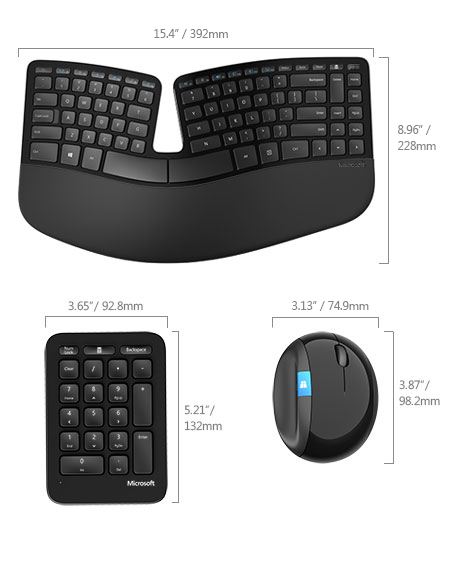 EVEN BETTER: it's compact form means it doesn't get in the way on the deskGOOD: Love it. great shape, quiet. the dongle is inside the mouse...took me a few minutes to read the inside of the box and find out this detail...but there it was, under the convenient magnetic cover. plug the dongle in, pull the battery strips out and away you go. no driver issues. works beaut on my linux laptop. I'm so pleased that I invested in this combo. Within days I am feeling less pain and discomfort from RSI symptoms. My only criticism is that the keyboard and mouse have to have quite a clear route to the dongle or there is lag. Personally I would rather have it wired and not have to deal with the odd occasion where they are not recognising each other however all in all I'm very happy and thought this product was also a good price in comparison to what else is out there.I'm so pleased that I invested in this combo. Within days I am feeling less pain and discomfort from RSI symptoms. My only criticism is that the keyboard and mouse have to have quite a clear route to the dongle or there is lag. 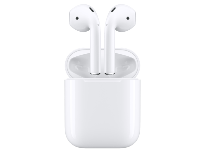 Personally I would rather have it wired and not have to deal with the odd occasion where they are not recognising each other however all in all I'm very happy and thought this product was also a good price in comparison to what else is out there. 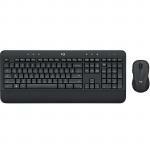 The keyboard is great to use, comfortable to use. 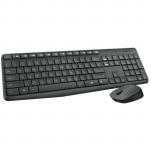 The separate number pad allows flexibility as you can place this wherever you want. 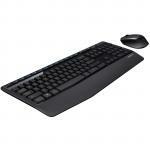 Easy to set up.The keyboard is great to use, comfortable to use. The separate number pad allows flexibility as you can place this wherever you want. Easy to set up. View MoreI've now had this a little less than a year and have mixed feelings. I am not happy with the range of the wirelessness - I had the receiver in the back of my computer (which is around 50cm from the keyboard/mouse) and it was a very poor connection. Moving it to the front made this work most of the time, though the numeric keypad can be flaky. The main keyboard is nice, but I don't like having the media keys and the function keys combined with a toggle switch as I use both of these frequently. I have still not got used to the layout of the various keys at the right hand side and often hit the wrong ones. I like the separate numeric keypad as that allows the mouse to be closer to the keyboard. Battery life seems fine so far (I haven't had to replace them yet). I think if I was to replace this I would go back to wired everything, get some kind of small (unfortunately probably non-ergonomic) keyboard and a separate keypad. This is an expensive set and I had expected better. Free from the tyranny of cables, and with an easy and effective keyboard, my typing speed is up, and the noise generated by my typing is significantly down. The only issue I found after the system setup was the loss of signal between the keyboard and USB dongle because of the PC case being in the way. Moving the dongle to one of the front USB ports ensured they were in line-of-sight and they have worked well since.Free from the tyranny of cables, and with an easy and effective keyboard, my typing speed is up, and the noise generated by my typing is significantly down. The only issue I found after the system setup was the loss of signal between the keyboard and USB dongle because of the PC case being in the way. Moving the dongle to one of the front USB ports ensured they were in line-of-sight and they have worked well since. It might just be the strangest looking keyboard (and mouse) ever, BUT, it is by far the most comfortable Ergonomic keyboard I've ever had. And I've had a few. I spend a lot of hours at a keyboard and now I have one of these in the office and at home. And the price point through PB Tech, fast service, and professional support behind it makes shopping with them my first stop.It might just be the strangest looking keyboard (and mouse) ever, BUT, it is by far the most comfortable Ergonomic keyboard I've ever had. And I've had a few. I spend a lot of hours at a keyboard and now I have one of these in the office and at home. And the price point through PB Tech, fast service, and professional support behind it makes shopping with them my first stop. DSKOEM0001 OEM Office Computer Table Desk Chair Ergonomic Wrist & forearm Rester Support Pad 10+ $16.00 +GST$18.40 inc.
DSKOEM0002 180 Degree Rotatable Ergonomic Wrist & Forearm Rester Support Pad For Office Gaming Computer Table Desk 10+ $13.00 +GST$14.95 inc. 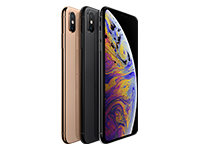 Normally: $139.00 Normally: $159.85 $116.00 ex. $133.40 inc.